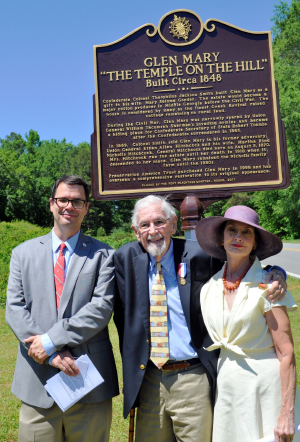 Marilyn Bender Meyers, Founder and Executive Director of Preservation America Foundation, is the recipient of The Daughters of the American Revolution (DAR) Historic Preservation Medal for her remarkable work in historic preservation over a long period of time. 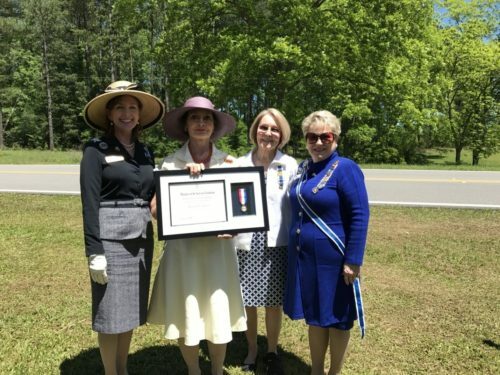 The Fort Peachtree Chapter, NSDAR, Atlanta, under Regent Kelly Stuckey and Chapter Historic Preservation Chair Brenda DiCristina recommended Meyers for this prestigious award and it was approved by the National Society Daughters of the American Revolution Historic Preservation Committee. 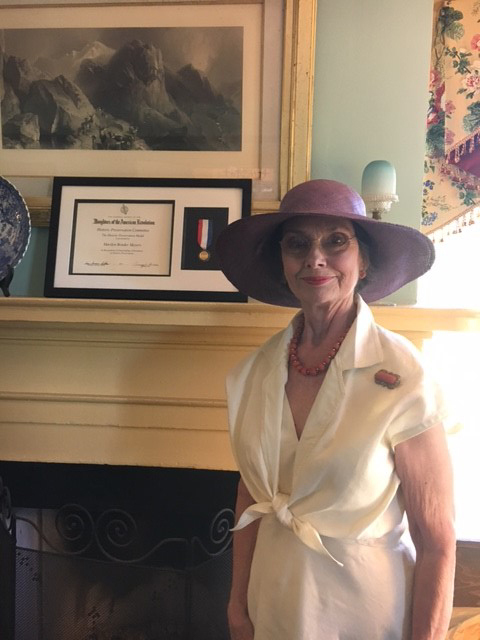 The NSDAR Historic Preservation Medal was presented to Meyers by Mrs. DiCristina at the DAR unveiling and dedication ceremony of the Glen Mary historic marker on May 7, 2017 at Glen Mary, Sparta, GA.
Marilyn Meyers proudly shows her treasured award.